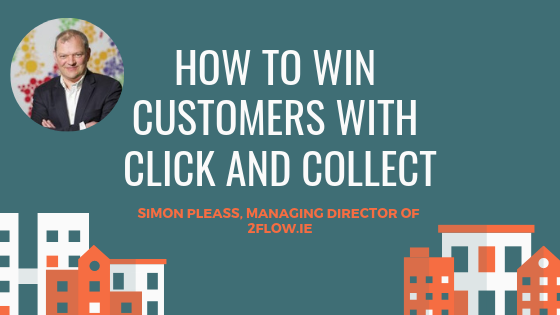 Simon Pleass, Managing Director of 2flow.ie features in a guest blog with us. Did you know that from 2011 and 2015, click and collect sales grew 155% as a percentage of total online sales? The popularity of this service shows no sign of slowing down, and global usage is expected to rise dramatically over the next few years. This infographic from 2Flow examines why an increasing number of customers are turning to click and collect and offers some tips on how retailers can implement this service in their own stores. Click and Collect allows shoppers to order products online and pick them up in-store. This services ties in nicely to the increasing trend for omni-channel strategies in the retail space. In other words, by connecting the online and brick-and-mortar shopping channels, customers enjoy a more seamless shopping experience. Click and collect services are valuable for customers because they can enjoy the convenience of ordering from home without having to pay for shipping. For retailers, click and collect presents many benefits including a boosting in-store traffic, lowering returns and increasing the average order value. In fact, one study has found that 49% of consumers were likely to purchase an additional item when picking up their online order. How to Create A Click and Collect Service that Works? In order to implement a click and collect service that wins customers, retailers will have to keep a few things in mind. For example, roll-out should be slow and careful. It’s better to launch in one store and work out all the issues before expanding. It’s also very important to create a comprehensive promotion plan to build customer awareness and to explain the process thoroughly and clearly. If you are interested in developing a click and collect service for your store and would like to find out more, take a look at the infographic below. 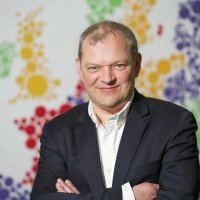 Simon Pleass is the Managing Director at 2flow.ie – an outsource fulfilment partner specialising in handling inventory based in Dublin, Ireland.